Lace up your shoes to support world-class care for our community! The 2018 Run or Walk for Southlake, presented by Nature’s Emporium is now closed. Our sincere thanks goes out to everyone who participated, fundraised and donated to support Southlake Regional Health Centre through this first-ever SOLD OUT event! And of course, a great big thank you to our generous sponsors and community partners for making it all possible. Together, our community raised more than $300,000* for our hospital! Please check back again in the fall for details about the 2019 event. We hope to see you there! Every dollar makes a difference. If you would like to make a donation to support the ongoing urgent needs at Southlake, please visit southlakefoundation.ca/donate. Our sponsors enable our events to happen, and lead the way for community support of our hospital. 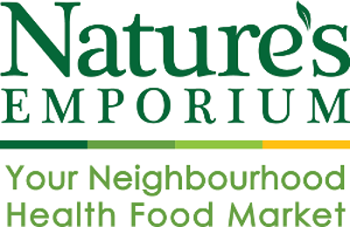 This year we're thrilled to welcome back Nature's Emporium as the Title Sponsor of the 2018 Run or Walk for Southlake for the 6th year in a row! Their years of generous support have helped make this event a tremendous success and a fixture in our community. We are so grateful for their ongoing commitment to make world-class care close to home available for Southlake's patients. Help us get the word out about the 2018 Run or Walk for Southlake! Use #runforsouthlake across all your social media accounts – we love seeing how much fun you're having! Be sure to follow @SouthlakeFndn on Twitter, Instagram, and Facebook for pre-event details and a live play-by-play of all race day activities.